What is the clearest way to notate this rhythm? What would be the clearest way to notate this rhythm? There are multiple ways to represent this; should I clearly represent the beat or use the least amount of rhythm notes as possible? Is this subjective or is there a method to this? Is this subjective or is there [a] method to this? While there are often multiple ways to beam and group given rhythms, some solutions are easier to read than others. Incorrect rhythmic notation greatly increases the risk of misplayed rhythms, and is one of the “deadliest” errors made by young orchestrators. Show Me The Beats! It is useful to think of “levels” of metrical hierarchy when notating rhythm. For example, in 4/4 time, events that happen on the half-note level (beats 1 or 3) are one metrical level higher than events on the quarter-note level (beats 2 and 4). 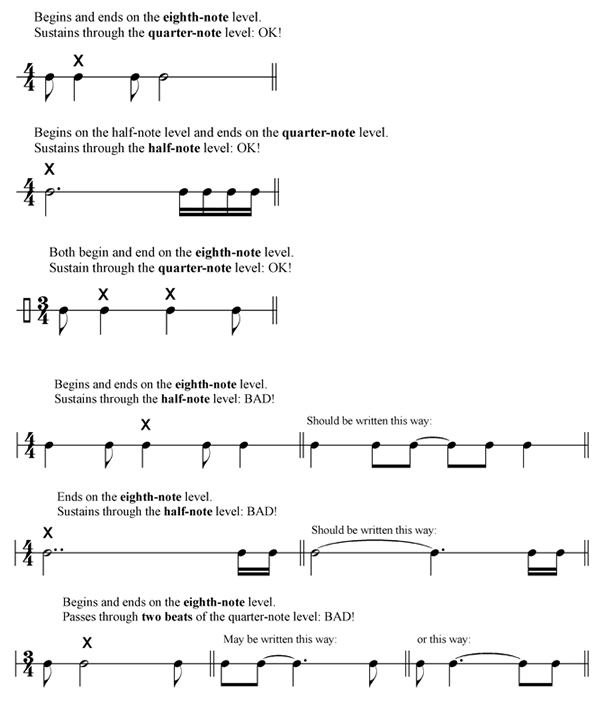 One level lower is the eighth-note (events which occur on the “and” of the beat), further divided into the 16th-note level (events which occur on the 2nd or 4th sixteenth note of a quarter-note beat). If a note begins or ends on a level two degrees lower than a beat through which it sustains, the note should be divided, with a tie used to show the higher level beat. Observe the examples below. Generally, when you see something like this, try to break the dotted values into the values they represent, like dotted eighth note equals an eighth and an sixteenth note etc. As far as 'which way you should choose', it really depends on who you plan to read/play this. The first way (the one you presented) will seem complicated to the not-so-advanced players, whereas the other one I provided you with can easily be read by anyone who knows how to read rhythm. When you use a lot of dotted notes, like in your example, it's not so easy to see where the beat falls. Compare your example with mine. On the latter you can easily see where each beat is and play it without any difficulty. There is indeed a correct, or at least preferred way of writing these syncopated patterns. The rule followed by nearly all written music is to indicate the beats. Exactly what this means is a bit complicated to explain, but I believe I can simplify it down to a few rules. When dealing with tied notes, the larger of the notes should always appear where it could normally appear by itself. This means a quarter note is always shown on a down beat. An eighth note is on a down or up beat. And a half note is on 1 or 3 in 4/4 or just 1 in 3/4. In a duple meter (such as 2/4, 4/4, 2/2), a dotted note should be treated as part of a group with the next smaller un-dotted note. For example, only ♩.♪ and ♪♩. are valid. The smaller note can be tied to another note, however. 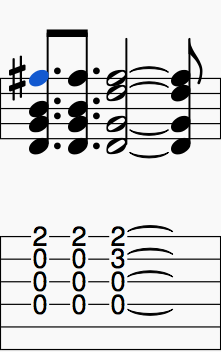 Two dotted notes of the same duration should never follow one another. In a triple meter (such as 6/8, 9/8, 12/8), a dotted note always replaces a group containing a multiple of 3 beats. So, in 6/8 time, a dotted quarter note may only appear on beats 1 and 4, and a dotted half note only on beat 1. Notes that replace a multiple of four beats should not be used. So no half notes or whole notes. In complex meters (such as 5/4, 7/8, 11/8), there must always be a note at the beginning of each grouping. So, if your 5/4 is grouped into 3+2, then you must have a dotted half tied to a half note to indicate a note that fills an entire measure. There may still be exceptions in this, but I believe I have covered all the cases. Exception to 3: A duplet may instead be indicated by dotting each of the notes. Two duple eighth notes may instead be written as two dotted eighth notes beamed together. Not the answer you're looking for? Browse other questions tagged notation rhythm or ask your own question. Dotted or tied quarter on beat two? 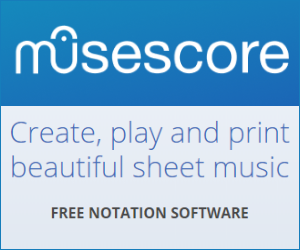 How should I notate repeated dotted eighth notes? How to notate extended vocal techniques (i.e. inhaling)? How to notate a change to triplet feel part-way through a song? How to notate piano cross-staff glissando with pedal line? What Kind of Rhythm Is This?